As online businesses keep up with the pace of technology’s rise, the number of entrepreneurs who want to try their luck in the trade is also increasing. One of the most common business models is network marketing, a system where members are compensated not just for the products they are able to sell, they also receive a percentage for the sales made by the people they were able to recruit. These days, network marketing, also known as multi-level-marketing, has crossed the border between traditional methods of selling and the online business scene. If you are one of those who believe that you were born to sell, being enthusiastic about multilevel marketing wouldn’t be a problem. But sometimes, people can be a little too excited to begin that they want to start at every possible angle. When it’s time to get down to business, it can help if you curb your enthusiasm a bit and focus on setting your objectives and goals as you board the network marketing ship. Make a list of the things that you want to accomplish through your business and identify whether they are short-term, mid-term, or long-term goals. Your goal may be to buy your dream car, go on that luxurious cruise, or save enough money to send your kids to college. Whatever it is, lay them down and devise means on how you can achieve these things. You can also break down your goals into smaller achievements and treat them as stepping stones to reaching your bigger goals. A list will also help you keep track of your progress and help you determine how close you are to realizing one goal after another. While there is nothing wrong with being self-taught, finding a mentor who can show you the ropes and guide your ascent to business success wouldn’t hurt. Ideally, you should train under those who already have a wealth of experience not just in multilevel marketing, but also in selling your product. They can teach you techniques that you can use when you finally hit the salt mines, and they can warn you about pitfalls and setbacks that you might encounter in the field. Not all multilevel marketing firms come with a free website that you can use to promote yourself and the brand. This is one perk that Herbal Nutrition gives its distributors upon signing up. Use your website to give your brand exposure and to communicate with your target audience. You can also fill it with different types of content to make your site more interactive. Apart from articles and blogs, you can also upload photos, videos, and infographics about your business and your brand. To make your online presence stronger, you can also engage your target audience through social networking sites such as Facebook, Twitter, and Google+. One of the tenets of promoting and selling online is to build and expand your network as much as you can, and the same principle can be applied to multilevel marketing. In addition, the point of MLM is not just to make the brand prosper, as its bigger goal is to help succeed in the business. While people might find your product and its benefits appealing, they would be more interested in how it can help them improve their lives on a long-term basis. So whenever opportunity presents itself, make friends with people in your community or in events relevant to your business. The scope of multilevel marketing is broadening at a quick pace so it shouldn’t be a surprise that your target audience have had its share of multilevel marketers’ speech. This presents the possibility that they might not be so keen on listening to you but you have to know that there is a way around it. Instead of convincing them to try your product, sell them the idea or philosophy behind it. Take Herbalife, for instance. While its products are known worldwide for their effectiveness, distributors bank on the ideology that these items can help the consumers improve their wellbeing while earning a decent living at the same time. If you, too, have tips on how startup multilevel marketers can succeed at their endeavor, feel free to share it with us in the comments box. If you’ve been doing business for some time, you’d likely realize that generating leads are a staple to growth. It’s the lifeblood that sustains any form of business, and that includes this very platform that Herbalife operates in. Lead generation, though, could be costly and tiring, considering the amount to be spent on traditional marketing methods. Luckily, there are certain cost-efficient tools available that could help a lot in customer acquisition, and one of them is Google Places. 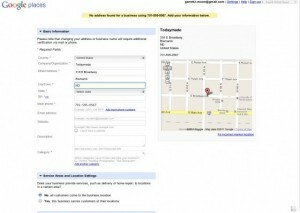 Think of Google Places as your yellow pages. 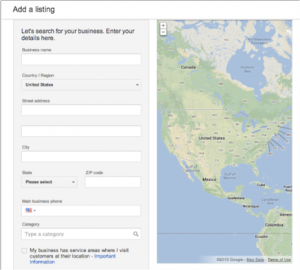 They are listings on the Internet that make businesses visible online via marking them on Google Maps and giving out information about that company. Signing up for it basically gives you a large ad that allows end users to know about your distributorship’s existence via your profile. The best part of it is that it is absolutely free. With all the conveniences available online, it’s quite common for people nowadays to turn to the Internet for their shopping needs. Claiming your Google Places profile will make your Herbalife distributorship available through Google Web Search, Google Maps, mobile search, 1-800-GOOG-411 voice directory search, Google Earth, and Google+. In short, this is more exposure for you via local search. 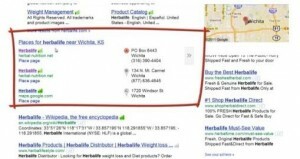 When a person does a search for Herbalife or its products using Google, your listing in Google Places will be among the top results granted that your physical store or office is near the location of the one doing the search. Take, for instance, the image above. 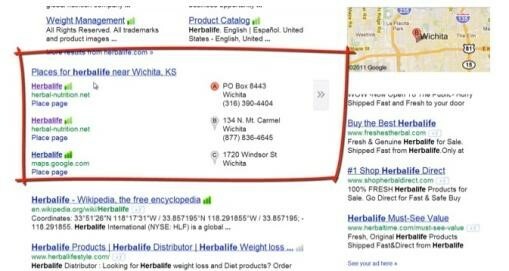 On the upper right side, above the ads, will appear a map that pinpoints the location of a Herbalife distributor in Wichita, KS upon typing the brand name as a query. 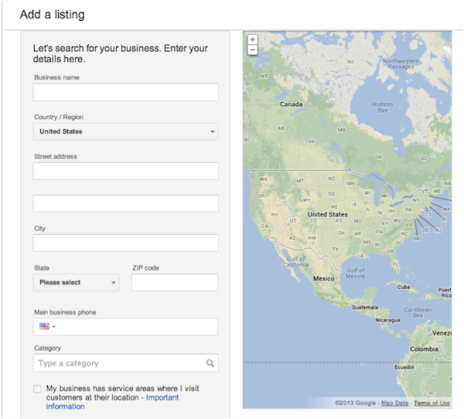 If you scroll down a little, it will show other distributors who have signed up for the Google Places service. Their website and address are also shown, thereby helping you generate leads via web traffic and in-store visits. Through the course of checking out Google Places, you might notice that there are existing information about your Herbalife distributors, prior to you signing up for the services. This is because Google gathers its data from different sources, including your listing on HNN. However, end users might be given inaccurate or outdated information, as some sources might not be current. By claiming it as your own, you get to ensure that you put in all the right info. You may also maximize your presence by adding content such as pictures of your product or store, and by encouraging past customers and colleagues to leave comments and reviews. Aside from making it more captivating, it makes your distributorship more credible because of the social interactions and third party endorsements. Overall, using Google Places gives you a competitive advantage in terms of visibility and credibility over other distributors who don’t claim their listings, given that you do things right. 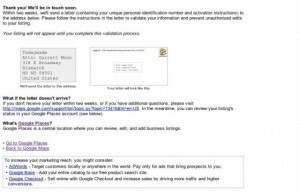 Now let’s tackle how to claim your Google Place for your Herbalife distributorship. Signing up for Google Place is easy and may only require a few minutes. Start by making a Google email account (via Gmail) and then visiting this link for further information about terms and conditions. You can then proceed to complete the information about your networking business on the blanks provided. Refer to the image above to familiarize yourself with the sign-up sheet. The information that you’d be providing would be your distributorship’s name, exact location, and category. This helps Google and your end users to recognize you easier. 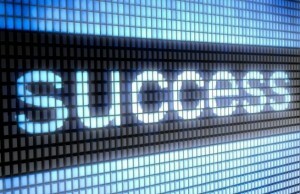 The next step would be verifying your networking business. This is to make sure that all the data you included are correct in order to avoid misleading people. 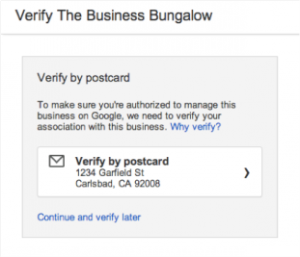 The verification would be done through your Gmail. The third step would allow you to further list down additional details, such as your businesses’ category and a short description. You can then add rich media such as photos and videos, and then submit it for review and confirmation. Google will mail you a card that contains a confirmation code that you will use to activate your listing. 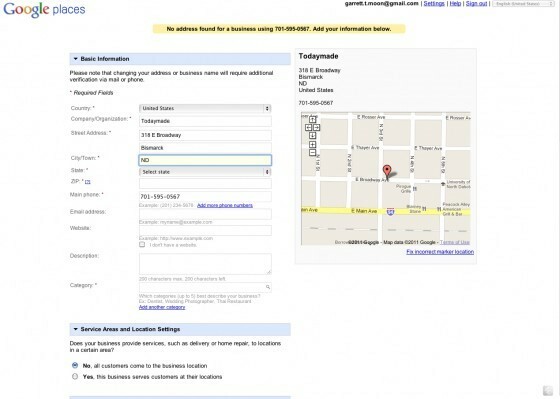 This also helps you ensure that nobody can tamper with the details in your business’ Google Place listing. Connecting with the locals is always a fine asset for a business. Leverage free online tools like Google Places so you can gain an advantage for your network business over your local competitors. Probably one of the best and most useful pieces of advice that I got when I was in college was that in the “real world”–which I thought then was the place where adults are supposed to be responsible and earn a decent living–is not always about what you can do and how good you are; more often than not, it’s about who you know. However, I didn’t realize its value until I began looking for a job post-graduation. I was quite confident with applying and my resumé was fairly impressive because I detailed my skills, achievements, and work experience which were mainly about small jobs and volunteering. But all of it wasn’t enough. I watched my former classmates in sheer disbelief as they get hired one after another, only to find out that they either know someone that works in that company or they have a friend who does. In my defense, it didn’t take too long before I got a job myself, but I have to admit that the way there was an arduous trip. Although I had a string of odd jobs and did volunteer work, searching for a place in the corporate world was tougher than I imagined. My job search made me realize how important it is to have a vast network, so I worked my way to meeting new people not just in the office. I continued to volunteer whenever I could and went out of my way to get to know interesting people. Eventually, I was able to expand my network of professionals and I now have connections with plenty of industries. By the time I was ready to leave the corporate world and start my own business, I had the privilege of seeking advice from my entrepreneur friends. With all the volunteering I’ve been doing, I realized that I don’t want to be bound by a nine-to-five job. That’s when I decided to become an entrepreneur; not only do I get to manage my time sans a strict schedule, I can also participate in volunteer events whenever I want to. My networking business gave me the luxury of time my day jobs didn’t afford me and it allowed me to interact with different kinds of people, a skill I needed to gain more connections. The success behind my networking enterprise is something I owe a lot to communication and selling ideas, aside from high quality products. So today, I’m going to share with you what I think are the most effective ways to spur the growth of your own networking business so that you too may enjoy the fruits of your labor the soonest possible time. One of the best places to find the people whom you share interests with is events relevant to networking. Conferences, workshops, trade shows-all these are ideal venues for making new acquaintances and meeting people whom you can ask for advice or deal business with in the future. You will also encounter budding entrepreneurs who are looking for distributors to sign up with and start a small business of their own. Just remember to carry your business cards when you attend these kinds of events so it will be easier for the people you meet to get in touch with you in the future. 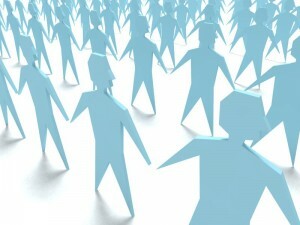 Aside from participating in networking affairs, you can also use the Internet as a vehicle to establish your business. Create accounts in social media sites such as LinkedIn, Twitter, Facebook, and Google+, then join pertinent discussions and begin building relationships with industry influencers and other networkers. You can also put up a blog where you can sell products and publish reviews. Your blog can also consist of photos of the events you attend and articles about your takeaways. 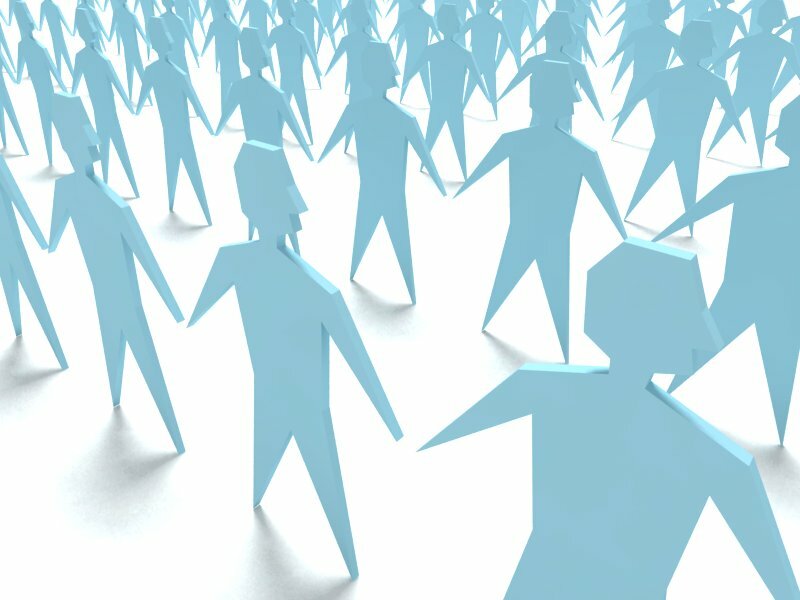 When it comes to networking, memorizing names doesn’t guarantee that you’ll be able to grow your army. What keeps people engaged though is when they see that you’re sincerely interested in them and what they can do. So after making formal introductions with prospective distributors or consultants, get to know them better by asking about things that are pertinent to the business. You can also ask them personal questions that you think may shed some light on how they manage situations such as in their families. Just remember to ask with tact and sensitivity to avoid them from being turned off. There are times when, despite the evident and very much available opportunity to promote a product, hard selling still isn’t an easy choice simply because there are people who are repulsed at the idea. What could work for them, however, is knowledge about the product, such as the science behind it and how it can help them. You need to make them feel that you’re not networking to simply make a sale. Instead, you need to communicate with them that by listening to you, they have the opportunity to earn more money and improve their lives. Many starting distributors tend to be discouraged when prospects do not reply the moment they touch base. They think that it’s easier to move on and find new prospects than to risk badgering the people they already tried talking to. Instead of doing this, try following up the people you talk to after say a few days since you first talked to them. You can send them personalized emails and check if they can spare you the time to tell them about networking and your business itself. However, keep in mind that this doesn’t always work for everyone so always keep a healthy list of prospects handy. Networking is one business that doesn’t offer a one-size-fits-all plan. You need to put in long hours and work really hard by meeting people and mastering your products to ensure that you have your pitch intact once you’re out looking for partners. By following these tips, you can have a fairly efficient groundwork for your business. One of the good things is that this information is so basic you can always go back to it when something goes against what you originally planned. Over the next few weeks, I’m going to be writing a series of posts about local marketing, and the importance of submitting your site to free local directories. These are important to get your information in front of as many prospective customers as possible. Today, I listed The Herbal Nutrition Network with Merchant Circle. 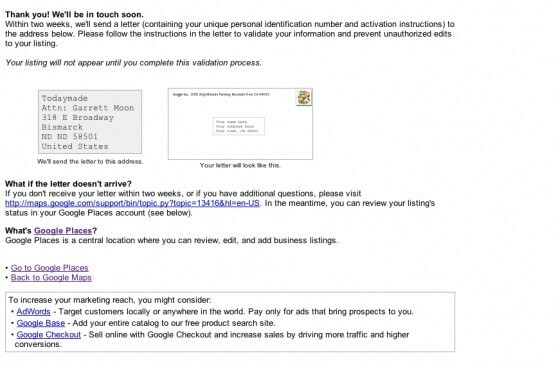 It’s not obvious how to get a free listing, as they direct you to the paid service as soon as your submit your information. However, by following the verification link in the email provided you can complete your profile without signing up for a monthly fee. I’ve been meaning to do a video tutorial over blogging and to explain one of the new aspects of the HNN blog – the featured distributor blogs on the HNN homepage. Until I get that done, this info may help you explain how the “featured blogs” work, and now you can maximize your chances of getting listed there. As most of you already know, HNN now has a built-in blog for distributors. This allows you to add fresh content to your HNN website for your friends, family, and visitors. If you don’t currently blog, you should. It’s one of the easiest ways to encourage repeat visitors and promote your site to the world. You may have noticed that some of the distributor blog posts are being featured on the HNN homepage. This gives you several benefits. First of all, your post could potentially be seen by hundreds of visitors to the HNN homepage. These visitors will be directed directly to your HNN website for more information about you and Herbalife products. Additionally, a featured slot on our homepage will also mean that your blog post may be picked up by the search engines more quickly. This may result in additional traffic directly to your blog post from the various search engines. Ready to get your post on the HNN homepage? Here are some ideas and tips to help you get started. The first thing to realize is that any distributor’s post could potentially be featured on the homepage. All you need to do is start writing quality content from the “Blog” tab of the HNN back office. We regularly review all new posts and look for ones that will benefit our visitors. My first word of advice is to blog early and blog often. Once or twice a week at a minimum. Also, you need to realize that we’re looking for relevant, original content. If you’re simply copying and pasting content from another website, we won’t feature those on the homepage. We analyze all blog posts and try to make sure that the content is fresh and original. If it’s not, we immediately reject it from the homepage. What is the Herbalife Weight Loss Challenge? As you can see, the above topics help answer questions. If you’re looking for more ideas, browse the Google keyword suggestion tool or Yahoo answers and see what kind of topics people are searching for. By meeting the need of other people, you demonstrate that you are knowledgeable and willing to help others. Notice how these posts are very general, and don’t really provide value to our website visitors? Internet searchers are looking for well-written content that helps them answer questions or solve problems. By meeting these needs, you can begin to build relationships with your website visitors. Here are a couple of more tips to increase the likelihood that your post will be selected for the HNN homepage. The featured blog posts on the HNN homepage can be a great way to get some free exposure for your Herbalife business. Just remember to keep blogging. Every post you publish on your site will be reviewed and considered for inclusion on the HNN homepage! Herbalife24 FIT DVDs Are Back in Stock! This 24-week, multi-DVD workout program led by top fitness experts is based on the same integrity and science you’ve come to expect from Herbalife. Developed by Herbalife with the renowned physical therapist and performance specialist Robert Forster, this program is designed for people of any age or condition. Increases in intensity gradually, so you don’t work harder, you work out smarter. Addresses common vulnerabilities of the human body, regardless of age or previous activity level. Trains your body to burn fat instead of carbs. Offers more gain with less pain. Herbalife Distributor Blogs, Now Available! Ready to generate more leads for your Herbalife business? With the addition of the new HNN Blog, you now have a powerful traffic-generating tool at your disposal. To get started, login to the Herbal Nutrition Network member’s area, and look for the new “Blog” tab. Do some keyword research and then begin to write targeted, relevant posts to help tell your Herbalife story to the world. Look for ways to integrate your target keywords (don’t forget to mention your local city and state), and then if you have another website, make sure you link to your blog post from another website to improve your rankings. Where can I buy Herbalife? As you can see, there is literally an endless number of things you can write about. What are you waiting for? Get BLOGGING! Herbalife announced a 2% price increase for the US and Canada effective March 6, and the new prices have been posted on the HNN websites. Leads, leads, and more leads… it’s probably the one item you wish you had more of. As a HNN member, you now have access to a new training video which you won’t find anyplace else! You can now view this new 30 minute training video right now, for free, in the HNN member’s area. This video was designed to show you exactly what you need to do to make sure your website and contact information are accessible to potential clients in your area. I don’t want to give too much away, but you can preview this video, which was designed exclusively for Herbalife, right here. I’ll embed the preview video on this page for your convenience. To view all of it, you must login to your HNN account here. If you like the content, please view the video on Youtube, and give us a “thumbs up” in order to show your appreciation!